ROSEVILLE, Calif. (Oct. 11, 2016) – The NASCAR K&N Pro Series West will wrap up its 2016 season under the lights Saturday night at All American Speedway in Roseville, California with the Toyota / NAPA AUTO PARTS 150 presented by TriCo Welding Supplies, in what traditionally is one of the most exciting events on the circuit. The event has attracted 26 advance entries, the most for a series race at the historic fairgrounds track. 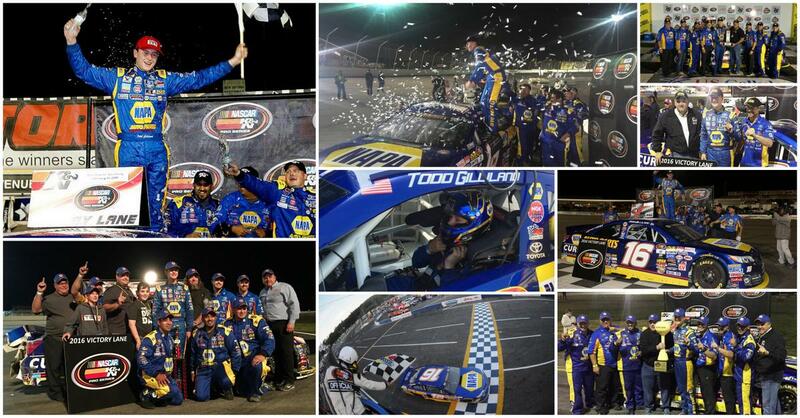 Local fans will have plenty to cheer for as 16-year-old series rookie sensation Todd Gilliland, who drives the No. 16 NAPA AUTO PARTS Toyota Camry for Roseville-based Bill McAnally Racing, attempts to clinch this year’s championship. It would be the second straight series title for BMR and a record seventh overall. Gilliland – a California native who resides in Sherrills Ford, North Carolina – will be capping off a record-setting season. He leads the championship standings by 25 points heading into the final event and can wrap up the title by finishing 21st or better. He has already secured this year’s Rookie of the Year Award. Gilliland is coming off a victory at Idaho’s Meridian Speedway on Sept. 24, which marked his sixth win of the season. In addition, he has 11 top-five and 12 top-10 finishes in 13 series races this year. He has finished first or second in six of the past seven races. A third-generation racer, Gilliland is a member of the NASCAR Next program that spotlights NASCAR’s rising stars. His BMR teammates – Chris Eggleston and rookies Julia Landauer and Riley Herbst, along with Cole Moore – will also be aiming to cap off their season with a strong finish. Landauer, driver of the No. 54 Curb Records Toyota Camry for BMR, is coming off a career-best second-place finish at Meridian in which she tied the mark for the highest finishing female in the series. 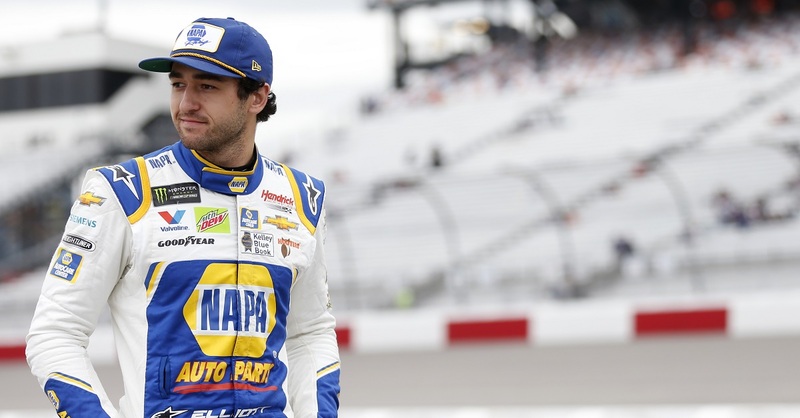 The 24-year-old New York native, also a member of the NASCAR Next program, is fifth in the championship standings and second in rookie points. She has six top-five and 12 top-10 finishes in 13 races this season. Herbst, who had five straight top-five finishes prior the Meridian event, will be looking to rebound from a 19th-place finish there. The 17-year-old Las Vegas driver, who wheels BMR’s No. 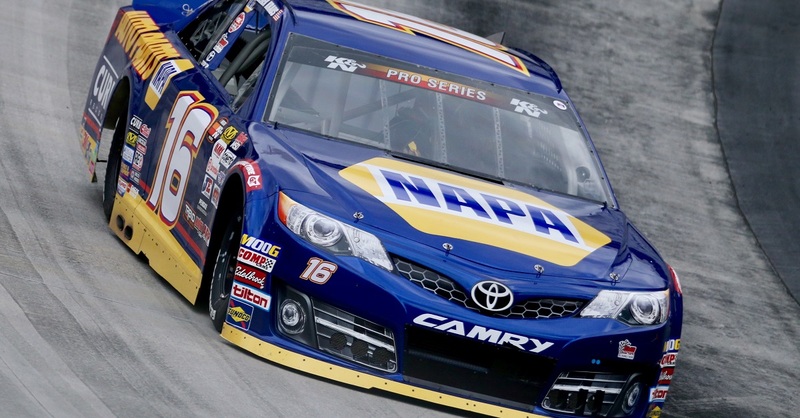 19 NAPA Power Premium Plus Alternators & Starters Toyota Camry, is sixth in the overall standings and third in rookie points. He has seven top-five and 10 top-10 finishes in 13 races. Eggleston, the 2015 series champion, is coming off a ninth-place finish at Meridian. The driver of the No. 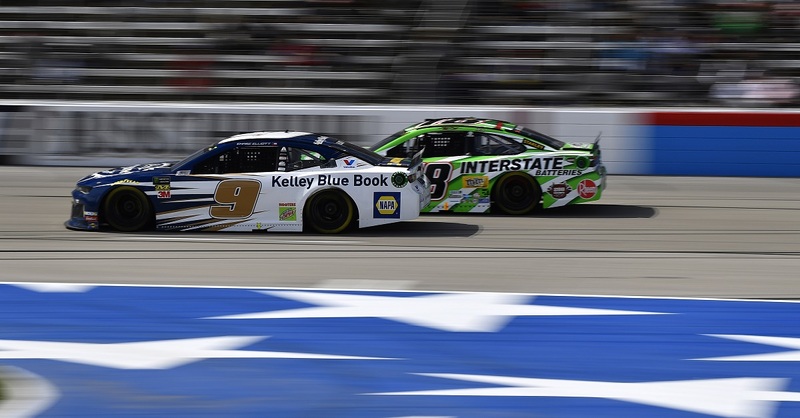 50 NAPA Filters / H2O Fire Protection Toyota Camry – who hails from Erie, Colorado – is seventh in the championship standings. He has two wins, seven top-five, and nine top-10 finishes this season. Eggleston finished third in last year’s race at Roseville. As a resident of nearby Granite Bay, Moore is familiar with turning laps around the third-mile Roseville oval. The 19-year-old, who drives the No. 20 JM Environmental/YP Toyota Camry, made his series debut last year at All American Speedway and has gained experience in racing select events on this year’s schedule. His best series finish was 10th in Monroe, Washington. BMR has had a winning record at All American Speedway as its hometown track – with seven victories in 12 series races since 2008. Three-time series champion Eric Holmes, who now serves as a spotter and driver coach for BMR, scored the most wins at Roseville – with four. BMR will shift the weekend in high gear with a special kickoff party and reception at their facilities at 900 Riverside Avenue in Roseville on Friday evening. The VIP event will feature a special driver meet-and-greet. BMR will also provide special rides at the speedway for VIPs in the two-seater NAPA Toyota on Friday. Saturday’s event will feature a midway full of activities – including a classic car show, a live band, and numerous vendors. A large turnout is anticipated at the hospitality corral, with NAPA and Toyota always being well-represented each year at this event. 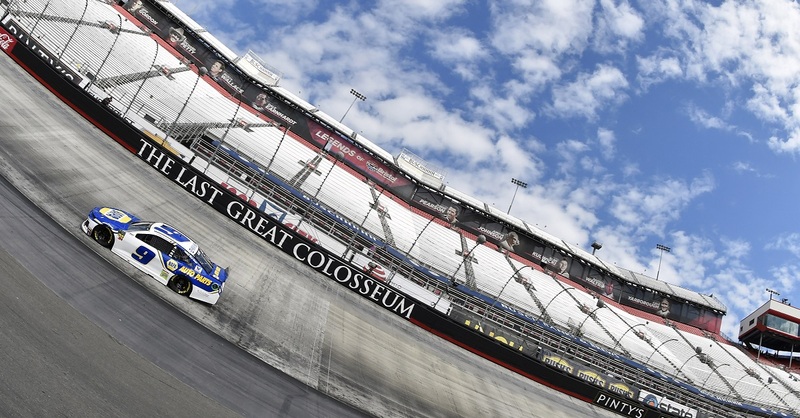 The Toyota / NAPA AUTO PARTS 150 presented by TriCo Welding Supplies will be televised to a national audience on NBCSN on Oct. 20 at 7 p.m. ET.